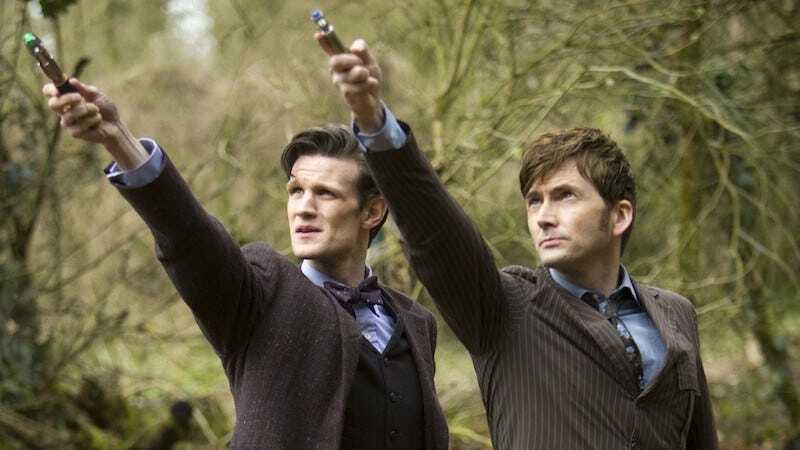 Just ahead of the season premiere of Doctor Who, the good people at the OED had a little tie-in to announce: “sonic screwdriver,” the Doctor’s multipurpose magic tool, is getting its own entry. If you were to come up with words from Doctor Who that might inspire someone watching for the first time to grab a dictionary, what would they be? (I mean, pretend you’d run to a dictionary and not just Google it and be directed to a shockingly in-depth entry on a fan wiki.) TARDIS, right? Dalek, maybe? Cyberman? Well, all of those already have entries. And presumably “time lord” is self-explanatory. So it sonic screwdriver it is! sonic screwdriver n. chiefly Science Fiction a (hand-held) electronic device which uses sound waves to perform various mechanical and technical functions. No mention that it doesn’t “do wood?” But as a general descriptor, I guess it’s fine. I don’t think the sonic screwdriver has reached cultural osmosis the way TARDIS probably has. Nor does it really need explanation the way the other words do. But, hey, tie-ins for everyone, I guess! Who Has a Sonic Screwdriver?